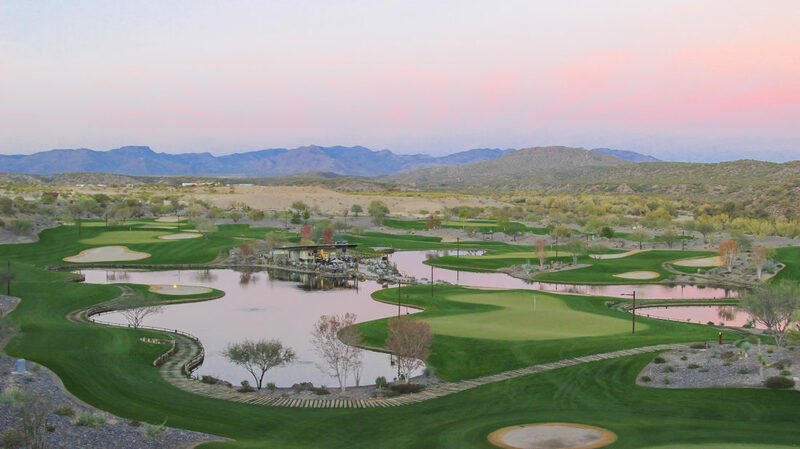 The Watering Hole was designed as the kitchen/bar for the Li’l Wick, a 9-hole short course at Wickenburg Ranch Golf and Social Club, featuring music and lit greens for the dedicated golfer and newcomer alike. 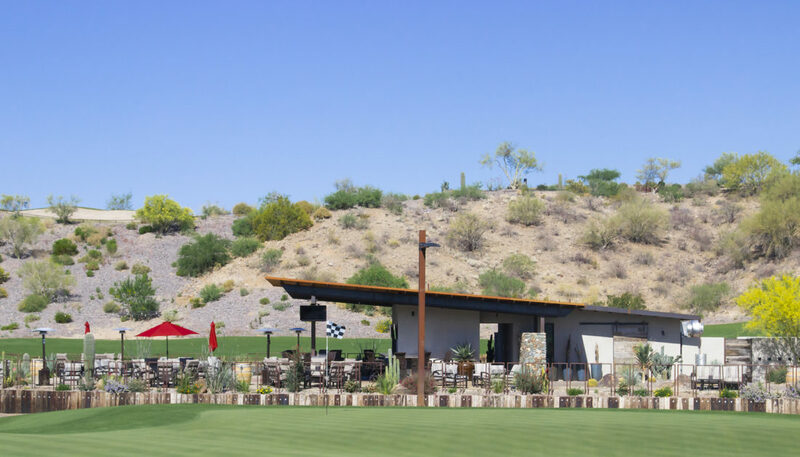 As the “lounge” for the surrounding space, The Watering Hole was intended to both highlight and integrate with the laid-back environment, stunning scenery, and create the ultimate bar and grill hang out for the venue. 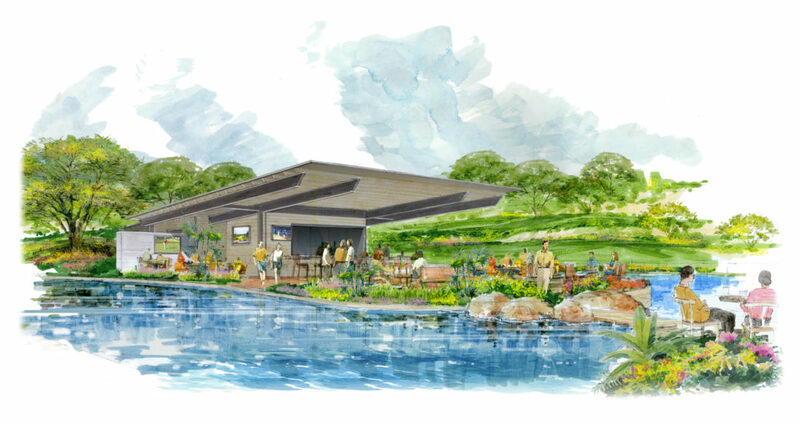 The flying roof juxtaposes with the greens and nearby escarpment, while the rustic finishes recall the former dude ranch located on the same site. 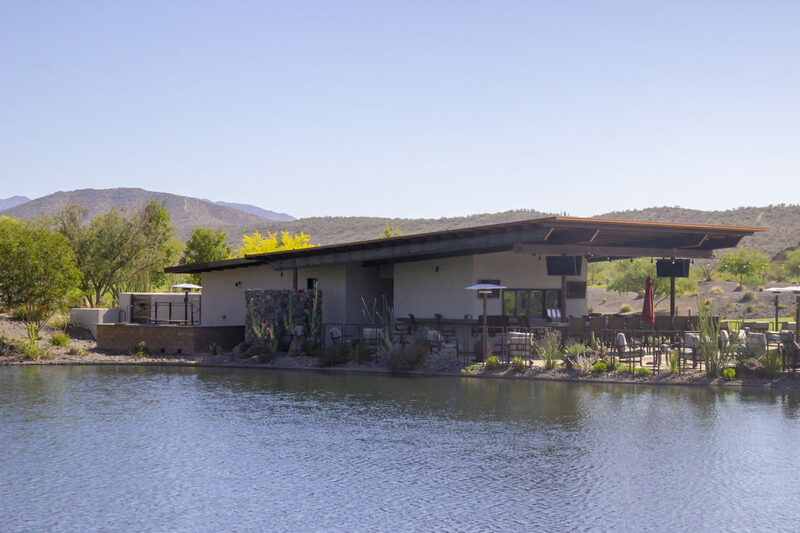 Centrally situated on the edge of a tranquil lake, a walkway leads the patrons across the waterfall from the far side of the course to pick up a brew and some grub while they relax surrounded by the incredible vistas. 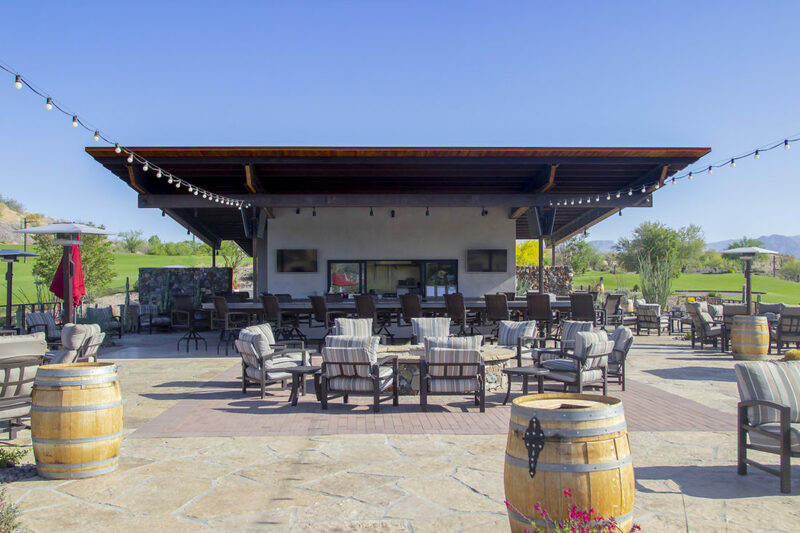 Nine televisions situated throughout the outdoor dining and seating accommodate multiple games simultaneously while allowing the guests to enjoy the clear air and lush grounds at the best “sports bar” around. A wood burning fire pit sits in the central outdoor seating lending a nostalgic scent of mesquite to those crisp evenings. 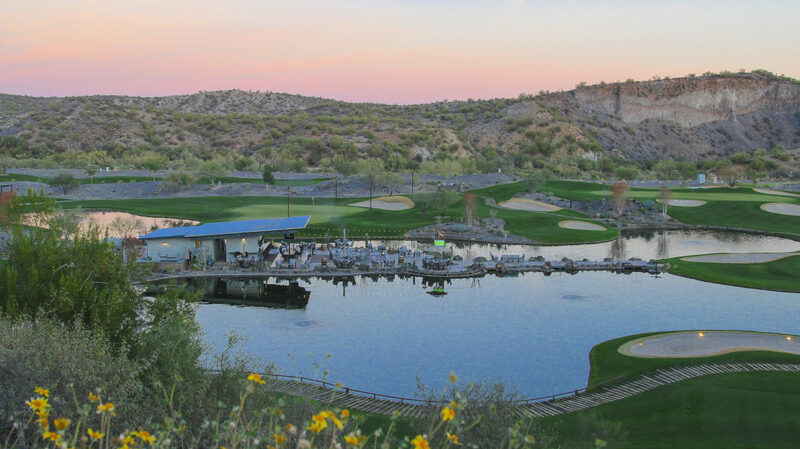 This is the perfect venue to escape to, whether for a peaceful lunch or lively evening of music and golf. Due to visibility from above, roof penetrations were minimized. Venting the of the hood was a challenge, but a more urban solution was employed to fit our constraints. The remoteness of the venue required strategic site design for customer access, service, parking, etc.